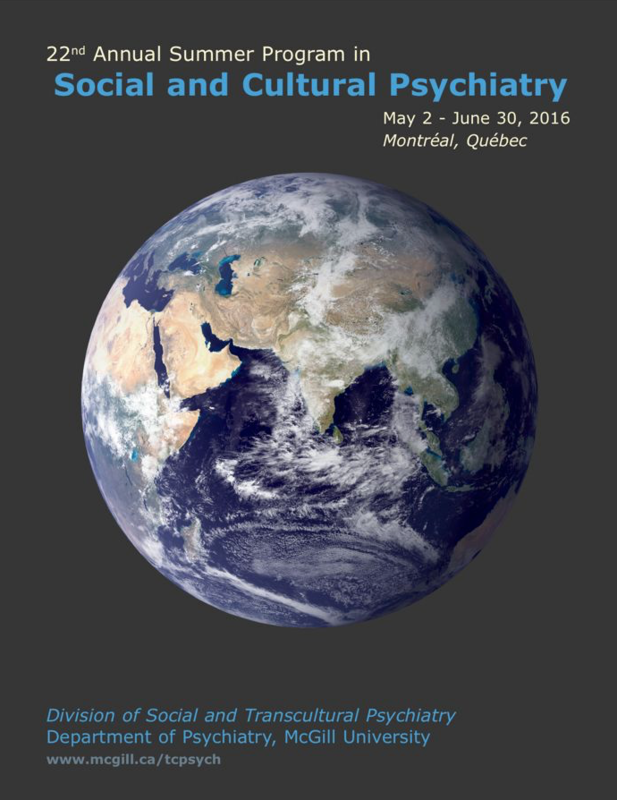 The theme of the annual meeting is Culture and Global Mental Health. 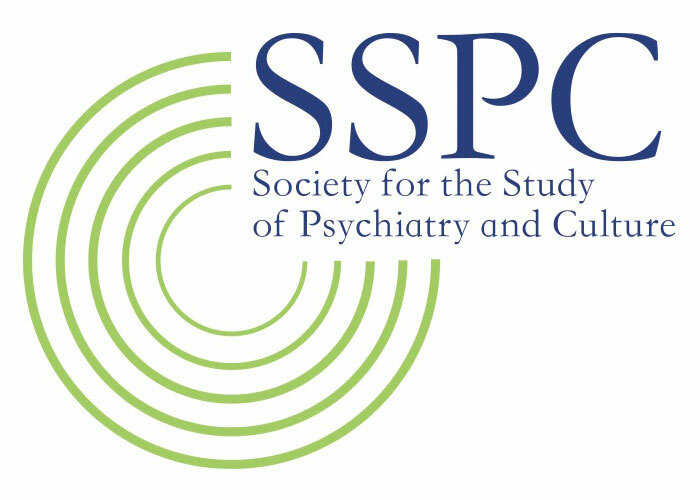 We are particularly interested in submissions based on clinical activities, teaching, and research that address the relationship between cultural psychiatry and global mental health, including issues pertaining to mutual contributions, challenges, and collaborations. The deadline for fellowship paper submission is September 15, 2014. Trainees in clinical and social sciences are invited to submit papers for consideration for the Charles Hughes and John Spiegel Fellowships. Fellowships cover meeting registration costs and a $500 award for travel and other expenses. The Charles Hughes Fellowship is an annual award presented to a graduate student who has an interest in and commitment to cultural psychiatry and mental health. Graduate students in anthropology, public health, psychology, and related disciplines are encouraged to apply. The John Spiegel Fellowship is an annual award presented to a medical student, resident, or fellow in clinical training who is dedicated to improving clinical care through culturally-­‐informed practice. Trainees in these fields who are interested in competing for these fellowships should submit the materials listed below by September 15, 2014. Identifying information (name, affiliation, contact information) of applicant. 2. Unpublished scholarly paper: An original unpublished scholarly paper on a topic related to Culture and Global Mental Health. Key conference themes for culture and global mental health are listed below. Papers are limited to 8,000 words inclusive of abstract, references, and tables. The applicant must be the first author on the paper. Additional authors can be included. Affiliation and contact information should be included for any additional authors. 3. Biosketch: A 200-­‐word biographical sketch describing your professional training and activities related to culture and global mental health. 4. 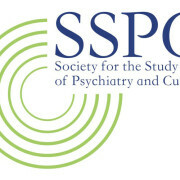 Statement of Professional Commitment: A 250–word statement about your interests and potential commitment to the mission of the Society for the Study of Psychiatry and Culture, and your vision for contribution to the organization. 5. CV: Your curriculum vitae. The recipients of the Charles Hughes and John Spiegel Fellowships will present their papers in a plenary session at the annual meeting in Providence on April 23-­‐25, 2014. Recipients of the fellowships have all registration fees waived. An honorarium of $500 is provided to help defer travel, lodging, and related costs. The conference will center on five core areas, as well as cross-­‐cutting issues in culture and global mental health. Papers submitted for consideration should address one or more of these areas, based on clinical, teaching, or research work conducted by the applicant. 1. Origins and transformations of knowledge and practice in global mental health This core area incorporates epistemology and ontology in global mental health. How is knowledge generated, how are concepts defined, and which individuals and institutions have the power to define concepts in global mental health? What values influence and are reflected in global mental health priorities and praxis? What roles and power do mental health service users, other persons living with mental illness, families, and communities have in influencing global mental health activities? How do epistemology, ontology, and value systems influence what is measured and counted in global mental health through epidemiology, health economics, and other aspects deemed worthy of counting? Ultimately, how does knowledge move between the local and the global? 2. Human rights, ethics, politics, and policy Building upon issues related to values and powers influencing global mental health, this area explores how ethical, political, and rights-­‐based documents and doctrines influence global mental health. How do international policies, programs, and institutions (e.g., United Nations’ bodies, the World Health Organization, humanitarian organizations) frame human rights, and how is this reflected at local and national levels? How do ethical guidelines for clinical care, training, and research (or lack thereof) influence global mental health practice? 3. Social determinants of mental health and health care This theme traces how social and economic conditions and forces inform both mental health problems and mental health services. How do globalization, poverty, international development, health industry priorities, and political economy inform both problems and solutions in driving mental health problems and mental health practice? 4. Intervention development and cultural adaptation How are interventions selected, developed, and tested in global mental health? What constitutes an evidence base for selecting interventions? What is the process for cultural adaptation, and how are cultural adaptations unique (or not) compared to other types of adaptations? How do indigenous or local interventions, systems of medicine and sources of resilience fit with the aims of global mental health? 5. Scaling-­‐up, implementation, and knowledge dissemination How do interventions and practices go from proof-­‐of-­‐concept to large-­‐scale implementation? What and who are the powers that determine worthiness for scaling-­‐up and what benchmarks do they use? How is care implemented in a collaborative framework with other stakeholders ranging from primary care workers to partnerships with advocacy groups, mental health service users, families, and communities? How do objectives of cultural specificity and scalability impact one another? Knowledge transfer between and among low-­‐ and middle-­‐income countries (LMIC) and high-­‐ income countries (HIC) How are knowledge and lessons learned transferred from high to low-­‐resource settings and vice-­‐versa? How is knowledge transferred among low-­‐resource settings, e.g. South-­‐South collaborations? Technologies This includes the use of guidelines (e.g., mhGAP, DSM, IASC guidelines), digital technologies (e.g., mobile phones, internet-­‐based communication platforms), and biotechnologies? Stigma Stigma influences activities and programs from the level of clinician-­‐patient interactions to policy-­‐making and implementation. Populations and predicaments For each of the areas, the specific populations should be defined. For example, are program beneficiaries defined by specific disorders, risk factors, or other context or health-­‐related factors? 1. Original contribution of the trainee – The paper should represent activities conducted by the applicant. First-­‐hand research, training, or clinical activities are required. This may include conducting interviews, ethnographic research, intervention implementation, clinical work, or other related activities. Papers with only secondary data analysis (either quantitative or qualitative) are not eligible for the fellowships. 2. Research or clinical question and contribution to the field – The research or clinical question should be grounded in the literature on global mental health and culture. The question should be novel and have implications for future research, training, and/or practice. The results of this study should be interpreted in light of the history of culture and mental health research, training, and clinical work. Other areas that will have a contribution to the field such as capacity building for beneficiary communities, providers in cross-­‐cultural settings, and advocacy groups could also be reflected in this score. 3. Ethical conduct – All research projects should include details on IRB approval from the applicant’s home institution as well as IRB approval from the country where research was conducted if the research was carried out outside the United States. Papers that do not have information on appropriate IRB approval will not be considered for review. For clinical cases, IRB approval is not required, but appropriate anonymization practices should be observed in documentation. 4. Methods/analysis – Projects demonstrating high levels of participation in design, implementation, and interpretation with the beneficiary community will be prioritized. Rigorous methods and analysis using best practices in qualitative or quantitative research in culture and mental health are recommended. For qualitative methods – what type of theory was used for coding and theory building (e.g., grounded theory, interpretative phenomenological analysis, content analysis, etc. ); was the selection of participants appropriate for a qualitative study; for ethnographic studies, how was participant observation incorporated into the design, etc.? For quantitative studies – were culturally validated instruments used or was there a cultural validation as part of the study; was the sample representative with regard to recruitment and target population; were statistical analyses appropriate for this study design, etc.? Please make sure you use learning objectives, not teaching objectives. Teaching objectives state what you are trying to teach. Learning objectives are what you expect the attendee to know or be able to do after attending your presentation. The objectives must use action verbs, which allow for the measurement of quantifiable outcomes. For example, At the conclusion of this presentation learners will be able to: (1) define what an action verb is and list three characteristics of it; (2) describe two reasons why educational objectives are important; (3) discuss the importance of action verbs in preparing measurable educational objectives. An excellent reference for this task is Robert Major’s, Preparing Instructional Objectives, 3rd edition, available from Amazon.com if not at your local library. All individual papers must contain two or three learning objectives. Instructions for Preparing Narrative Abstract Abstracts should be structured, and they should NOT exceed 200 words, excluding the objectives. Guidelines for preparing structured abstracts, though slightly more detailed than we require, can be found in the Archives of General Psychiatry’s Instructions to Authors section on preparing structured abstracts. Abstracts for submissions classified as Research will include the following subsections: (1) Background, (2) Aims/Objectives, (3) Methods, (4) Results, and (5) Conclusion. Abstracts for submissions classified as Education and Training, Clinical, Theoretical/Conceptual, or Policy will include the following subsections: (1) Background, (2) Aims/Objectives, (3) Proposition and Discussion, and (5) Implications.